Anyone who is trying to reorganize their life after a divorce knows that it is a stressful, all-consuming task. For a divorced woman, sometimes it can mean establishing a brand-new life, one in which she brings home the bacon and cooks it too. Educational grants can help a divorced woman put her educational goals and dreams on the fast track to becoming a reality. Divorced women looking to go back to school should keep these grant programs in mind when searching for the means to pay for their college education. 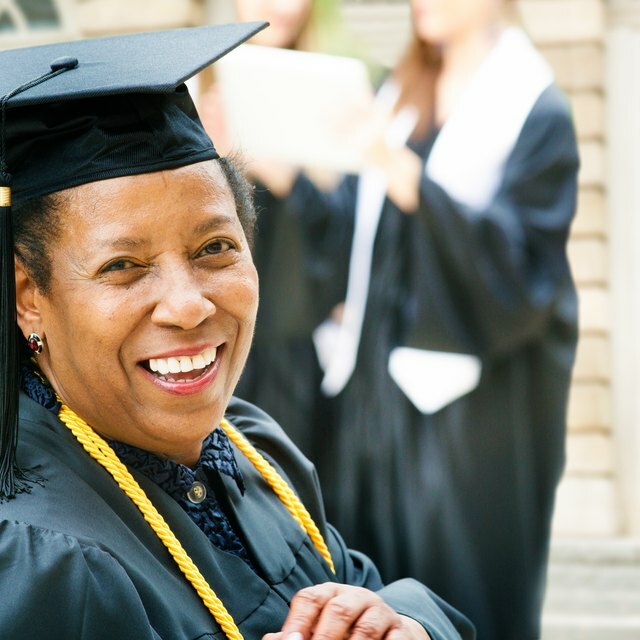 The AARP Foundation Women's Scholarship is a program established to aid women who have now found themselves in need of supporting themselves and need additional training. Applicants should be over the age of 40 and are acquiring additional education in hopes of increasing their job skills. This scholarship is available for full- or part-time study and may be used for attendance at public or private universities, community colleges, technical schools or to receive vocational training; however, it cannot be used for graduate programs. Eligible applicants must be U.S. citizens, must be enrolled in an accredited program of study within six months after the award is made and must submit proof of documented financial need. The American Association of University Women Career Development Grants is designed to aid women who are changing careers, advancing their degrees or re-entering the workforce. Women who have already earned a bachelor's degree, but have chosen to pursue a master's degree, a second bachelor's degree or are seeking additional training to develop specialized skills in a profession or technical field are encouraged to apply. Awards range from $2,000 to $12,000. Distance or online programs of study are accepted. The Talbots Women's Scholarship Fund awards scholarships to women who are earning an undergraduate degree from a two-year or four-year university or are obtaining vocational or technical training. The school of choice must be accredited to receive one of the awards. All eligible applicants must have received their high school diploma or its equivalent a minimum of 10 years ago. These awards are given to women who are experiencing financial hardship but want a college education to better their lives. The Soroptimist Women's Opportunity Awards are designed to aid women who are the main financial providers for their families. Typical applicants have overcome obstacles to start their educational career, want to develop employment possibilities and hone their skills and want to further their education. These awards are for undergraduate students who have not previously earned a degree and are enrolled in a vocational, technical or undergraduate program. As of 2010, awards are for $10,000 each.